As stated in Losing Weight 101 (the weight loss "theory" section of the site), the second key element to burning fat fast is to burn calories through cardiovascular exercise. 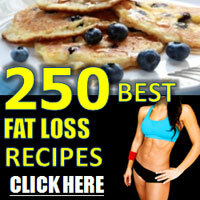 This section is dedicated exclusively to fat loss plans and routines. To prevent stagnation in your weight loss, the cardio workout routines below should be changed (cycled) every four to eight weeks. After this time, your body will have adapted to the cardio routine and become more energy-efficient at it, which means you won't burn as many calories as you once did while doing that routine. For more information on cardiovascular adaptation read this article. 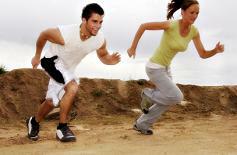 To find out which cardio activities burn the most calories click here. Jumping rope is a favorite among boxers, some of the most well-conditioned athletes in the planet, because it keeps them in top shape while simultaneously improving their agility, footwork, stamina and explosiveness. Try these jump rope workouts and get in shape in a hurry! If your new to cycling try these beginner cycling workouts. These beginner workouts is great for developing your aerobic base. Also, these cycling workouts are relatively gentle on the knees compared to other aerobic exercises. The goal of this running program is to enable you to finish a 5k race by the end of the 10 weeks program. This is a superior program for weight loss. Burn fat fast with this challenging 8-week running program. Get those nice six pack abs with these gut-burning ab routines. With these workouts, you will be melting fat away in no time at all while having the time of your life. Many More Cardio Workouts To Come!